Throughout this school year, middle school art students have been diligently working hard to create pieces of art that would hopefully be displayed at the annual MS art show. This year, the art show showcased various types of art such as clay sculptures, traditional paintings and photography. The art show is being hosted in the ISKL Ampang Library and opened to our community. 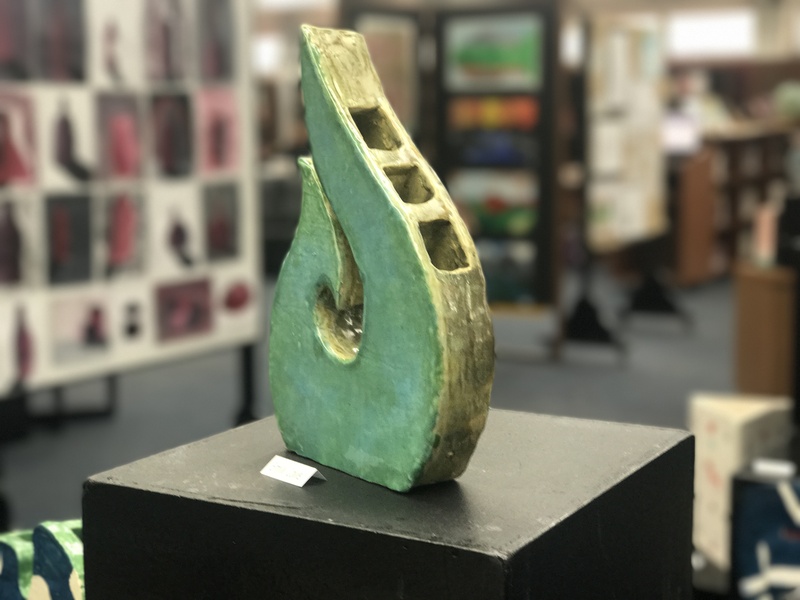 There are many eye-catching pieces such as the ceramic maori symbol by Emily ‘21. Her piece is based and greatly influenced off a Maori symbol. This piece traces back to her heritage as she is from New Zealand. Another notable piece is the guitar by Gabe ‘21. Mr Simmons, one of the MS art teachers describes the process that the MS art students went through and what skills they developed leading up to the event. “We try to develop projects that teach a technique or a skill and improve those skills but also allow the students to have their own voice in how they create their work, so we try to avoid telling the students exactly what to do, because although we can help with the technique, we can’t give them the idea so we think that it is very important that students think creatively and are able to develop their own ideas. Even if they don’t pursue art in high school, or even a career in art, then they still are creative in whatever field of profession they choose”. Next year, Mr Simmons says that the the MS art team are planning to make some big pieces of art for the new campus, rather than an art show, and will organise group projects that involve many students.